One of the country's most popular lifestyle brands is Florida-bound. Frontgate, which specializes in high-end indoor and outdoor home furnishings, is set to open its first location in the Sunshine State at The Shops at Sunset Place in South Miami on November 20th, just in time for the holiday season. The store will take the form of one of Frontgate's sought-after outlet stores, becoming only the company's fifth outlet nationwide. Frontgate is now hiring and expects to create between 25 and 30 new jobs at the store. Frontgate marks the first new tenant to arrive at Sunset Place since Maryland-based Federal Realty Investment Trust (NYSE: FRT) acquired the center in partnership with Miami-based Grass River Property and The Comras Company in October 2015. The 23,000 square-foot lease will activate space on the center's ground floor that has been dormant since Sunset Place's opening. The arrival of Frontgate this month will coincide with a series of improvements that have been underway since the new ownership group acquired the property. New landscaping has been installed, new lighting is up both within the center and along the exterior streets, and the parking garage has been repainted. 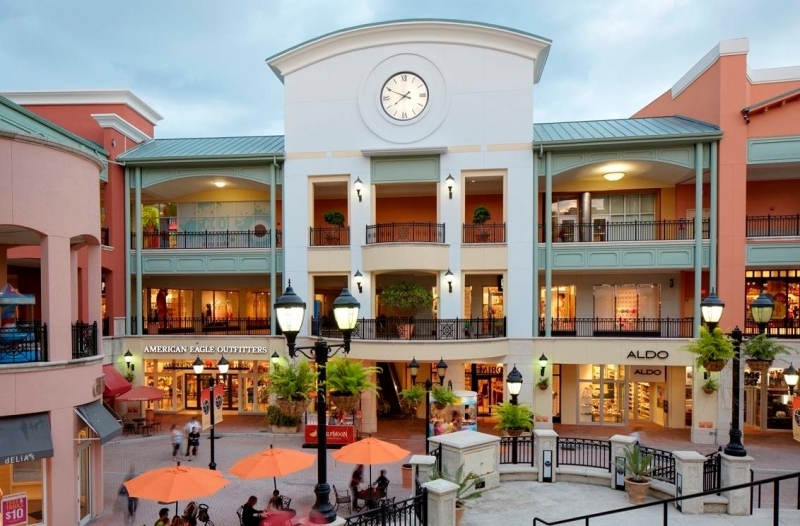 "Adding a top-tier brand like Frontgate at Sunset Place will enhance our shopper's experience at the center, generate more consumer foot traffic, and create new jobs before the holidays, so this is a triple-win for South Miami," says Michael Comras of The Comras Company, which led the lease on behalf of ownership. "Frontgate's arrival and the physical upgrades coming online are a first step in improving the center as we work through a longer-term plan for the center." Frontgate's outlet store, which will be open from 10am to 8pm Monday through Saturday and 11am to 6pm on Sundays, will offer shoppers a treasure trove of hidden gems, with new merchandise arriving on an almost daily basis. "Frontgate is a lifestyle brand focused on helping people entertain at home with an emphasis on outdoor living, so we think our Sunset Place store will be a perfect fit for the South Florida lifestyle," explains Frontgate's Steve Schoepflin. "Florida has long been one of our strongest markets, so we're ready to put down roots in South Miami by getting to know our local customer base and creating relationships with area nonprofits." Frontgate is a leading home luxury lifestyle retailer. Frontgate is known for its best-in-class furnishings and enhancements. It outfits America's finest homes through its flagship Frontgate catalog, as well as four specialty collections and one modern aesthetic brand: The Outdoor Book, The Holiday Book, The Interiors Book, Splash and Porta Forma. This year alone, Frontgate will circulate more than 85 million catalogs. Frontgate has enjoyed growth by combining a superior level of customer service with quality products not commonly available in retail stores. Frontgate products can be described as being professional grade and authentic, having innovative features yet with timeless design. Frontgate is part of HSN Inc., a $3.3 billion interactive multichannel retailer with strong direct-to-consumer expertise between its two operating segments, HSN and Cornerstone. Cornerstone Brands Inc. (CBI) is a family of direct marketers that ranks among this country's top ten consumer-direct firms.